1 Pro-democracy activists brace themselves during a drill to simulate the scenario of being sprayed with a water cannon at the upcoming "Occupy Central" movement rally in Hong Kong. 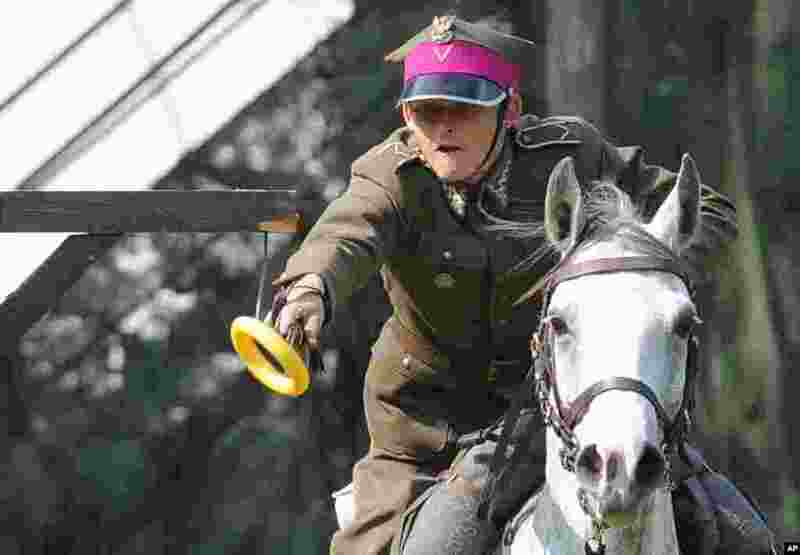 2 A soldier on horseback performs a sword attack during the Cavalry Day show in Warsaw, Poland. 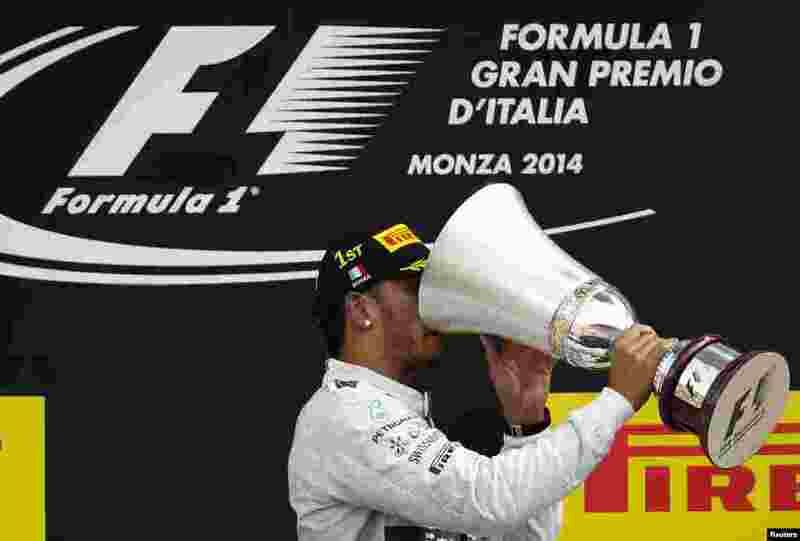 3 Mercedes Formula One driver Lewis Hamilton of Britain drinks champagne from his winner's trophy after winning the Italian F1 Grand Prix in Monza, Italy. 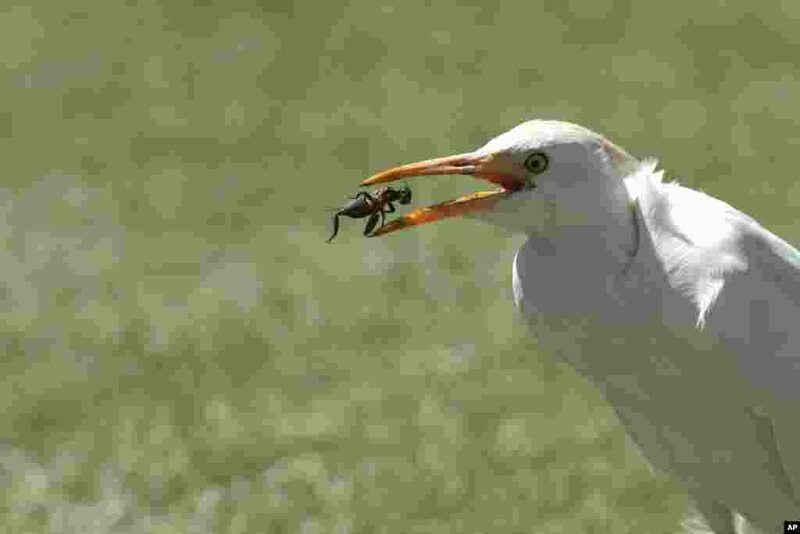 4 A white stork feasts on a cricket it caught on the pitch, during the cricket One Day International final between South Africa and Australia in Harare, Zimbabwe, Sept. 6, 2014.